The United Nations World Food Programme (WFP) is rapidly scaling up its life-saving food distributions in the flood-hit areas of southern Pakistan to reach 500,000 people this month with general food rations and highly fortified, locally-produced foods designed to tackle under-nutrition in young children. “Initial assessment data confirms what we feared that more than half of those affected by the monsoon floods are critically short of food,” said WFP Acting Country Director, Dominique Frankefort. The results of an assessment concluded last weekend indicate that some 3 million people are in need of food assistance in Sindh. WFP plans to reach 80 percent of this total – 2.5 million people – from October , with the remainder to be assisted by other agencies. “We look to our donors and their usual generosity to help us reach all those in immediate need following this latest disaster, while ensuring that the recovery of those affected last year is not compromised,” Frankefort said. The national nutrition survey, just released by the health ministry, found that rates of under-nutrition in Sindh were at worrying levels with 17.5 percent of children under five years suffering from acute malnutrition, of which nearly seven percent were severely malnourished. In addition, half of all children in Sindh were stunted – that is shorter than average height, more susceptible to disease and at risk of impaired intellectual and physical development. WFP is addressing immediate needs in the first five priority districts of Badin, Mirpurkhas, Nawabshah, Sanghar and Tharparkar, by drawing upon existing food stocks available in country. So far WFP has provided life-saving rations to some 80,000 flood-affected people. The food ration WFP is distributing in the flooded areas, includes fortified wheat flour, pulses, high energy biscuits, wheat-soya blend, iodised salt, and fortified cooking oil. In addition, the ration package includes ready-to-use supplementary food (RUSF) specially formulated to nourish the most vulnerable, young children. This product, which does not require cooking, can be eaten by children straight from the packet. 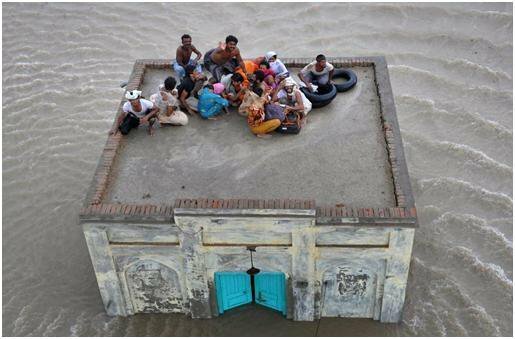 The Pakistan Floods Rapid Response Plan 2011 is seeking $357 million for UN agencies and NGOs to support the government’s response efforts. Of this total, $174 million is required for food security interventions and a further $1.9 million to provide essential transport, storage and coordination services for the community of humanitarian respondents.